UNIVERSITY PARK, Pa. – Bolstered by a new National Science Foundation (NSF) CAREER Award, Reuben Kraft, Penn State assistant professor of mechanical and biomedical engineering, co-hire of the Institute for CyberScience (ICS), and affiliate of the Center of Neural Engineering and Neuroscience programs, seeks to contribute to the understanding of brain trauma by developing advanced computer models that link neuroimaging results, biomechanical assessments, and computational modeling of the brain. The CAREER Award is the most prestigious award offered by NSF in support of early-career faculty. Over a five-year period, Kraft’s project, “Multiscale Modeling of Axonal Fiber Bundles in the Brain” will develop new computational techniques that leverage advanced cyberinfrastructures and expand capabilities in the emerging field of computational brain medicine. The ultimate goal is to provide a clinical tool for diagnosing brain injury, as well as enhance other neurotechnology currently being developed, such as brain computer interfaces. “I’m very passionate about computational brain medicine and the funding from this CAREER Award will help further establish the fundamental science in the area,” Kraft said. Early investment in the research came from the Army Research Laboratory and U.S. Medical Research and Materiel Command through a close collaboration from the Computational Fluid Dynamics (CFD) Research Corporation, an industrial partner focusing on computational medicine. In addition, Kraft has worked with CoachSafe Playsafe, another industry partner that focuses on sports safety technology. Kraft’s plan includes the development of a new multiscale embedded finite element technique to model the complex nature of axonal tracts in the brain, as well as a time-dependent, damage model for the axonal fiber tracts and surrounding extra cellular matrix. Axonal fiber tracts in the brain are formed from organized collections of neural cells which can be visualized using magnetic resonance diffusion imaging. The computational studies will be validated through a long-standing collaboration with Kacy Cullen, associate professor of neurosurgery at the University of Pennsylvania, who does controlled studies on traumatic brain injury. “I have been collaborating with Dr. Cullen for many years and am looking forward to the continued synergy,” he explained. Kraft will also be collaborating with imaging experts from Germany. What is also appealing about the research for Kraft is that it spans very technical engineering, math, and computer science using the finite element method to outfit individuals with wearable sensors that measure accelerative loads. The technology that Kraft and his team are working on would translate those loads into meaningful information about the brain’s response. The CAREER Award helps faculty further integrate their research and teaching vision. This is one of the reasons Kraft dedicated this CAREER Award to the ICS staff. Kraft was awarded a Penn State Engineering Alumni Society Outstanding Teaching Award in 2018. His CAREER project will also further integrate education and outreach activities with the research across different community and university sectors. For example, he will implement his mobile "NSF Sideline Science" curriculum that teaches and promotes awareness of brain science and computational medicine for K-12 students and the general public. He also has plans to study the effectiveness of a new junior-level computational tools course focused on improving undergraduate performance in other core engineering and design courses. 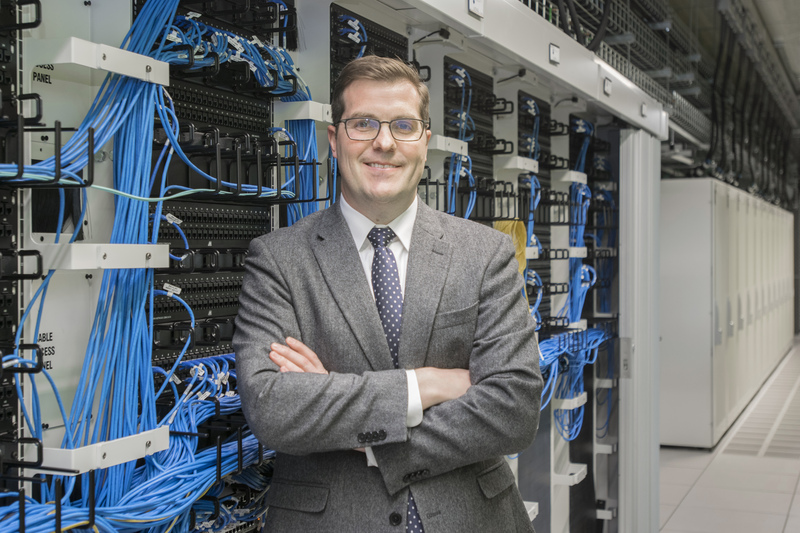 At the graduate level, he hopes to enhance students' understanding of the power of advanced cyberinfrastructures to solve diverse problems in science and engineering.